Mathzor is taking a step out into the Apple App Store! This app brings Mathzor's logic puzzles to your iPad. 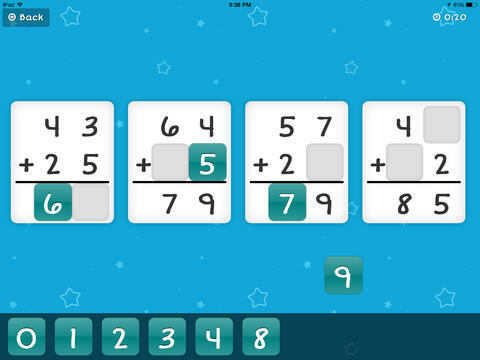 It features 84 puzzles of varying difficulty (21 for addition, subtraction, multiplication, and division) where your student will drag numbered tiles into empty spaces on flash cards. As the puzzles get more challenging, students have to strategize about how to use their remaining tiles.